During reunions, or coffee dates with my BFFs, these are the most talked about subjects. 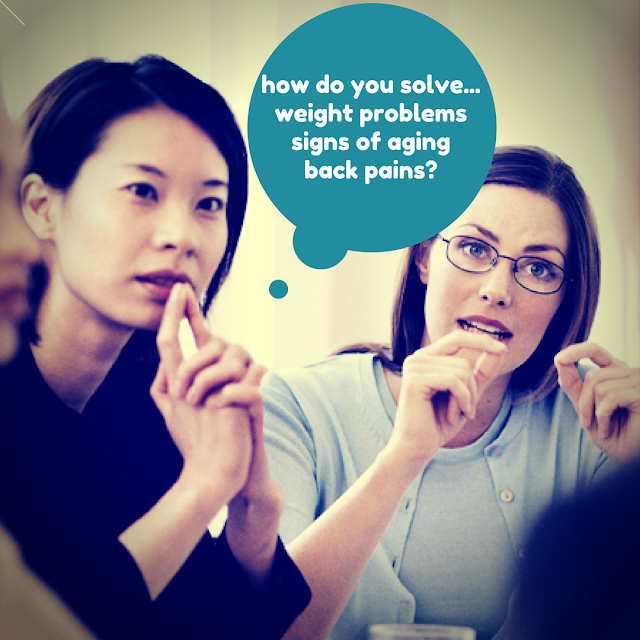 And yes... these concerns have something to do with age! "Why are we getting fat? My back is starting to hurt... is that osteoporosis? Or even Arthritis? Is there a way to combat aging? Paano ba magmukhang bata?" 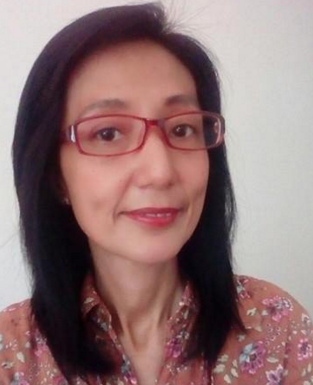 I won't deny it, health becomes a very important issue to women my age. As a woman, and as a mother, I am always on the look out for natural things that can make me healthy. I need to be healthy to be able to take care of my family, right? I need to be in perfect shape if I want to inspire my family to take care of their health too. And then I discovered COCONUT OIL. When my mother was still alive, she suffered from arthritis. I massaged her arms vigorously until the pain subside. I used coconut oil. A few years back, I suffered from alopecia. And the application of the coconut oil on my scalp facilitates hair growth. My daughter who is now 16 years old, uses coconut oil combined with castor oil, for her eyebrows. Funny as it may seems, she is slowly getting what she wants. Healthy and thickened eyebrows. We are three generations of coconut oil users so you can trust me, when I say, I really believe in its healing and regenerative powers! 50% of the fat content in coconut oil called Lauric Acid. Lauric Acid is a wonderful miracle ingredient because its health promoting properties. 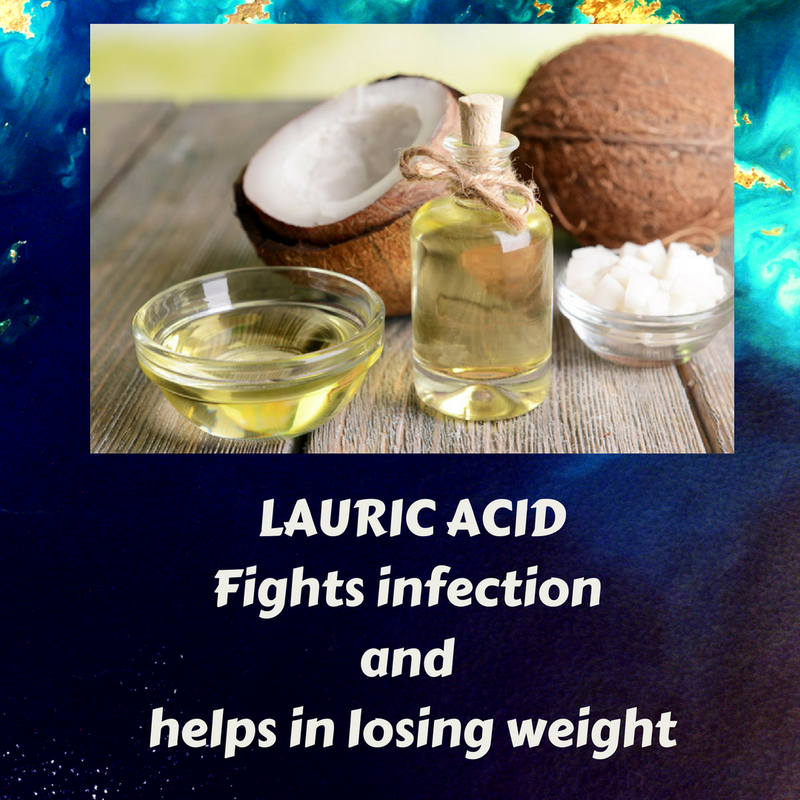 Lauric Acid is a medium chain fatty acid (MCFA) together with Caprylic and Capric Acids which are all found in coconut oil. When other fats take longer to digest, MCFAs are the perfect sources of energy because it is easier to digest and process. And they are not stored as FATS. Good news to all my BFF's with weight problems! 1. HELPS IN WEIGHT LOSS - research shows that coconut oil increases the activity of the thyroid. An inactive thyroid is one of the reasons for weight gain. 2. BOOSTS METABOLIC RATE - You heal fast and your immune system functions better, so you recover fast from illnesses and infections. This is important for my children who are prone to illnesses and infections. 4. KEEPS SKIN HEALTHY - because it is naturally anti-bacterial and anti-fungal. For mommies, we can use coconut oil to moisturise our skins. 5. In Alzheimer's disease, it is believed that brain cells have difficulty metabolizing glucose. But the theory, ketones that are produced in our bodies when digesting coconut oil may provide an alternative fuel source to keep the brain nourished. In our home, there are only two oils used in preparation of our food. One is olive oil -- which we use as a salad dressing. We don't use it for cooking because the heat makes it open to oxidative damage. The other oil is COCONUT OIL. With all the benefits I mentioned, why wouldn't I use it for cooking? If it makes my family healthy... then I am all for it. 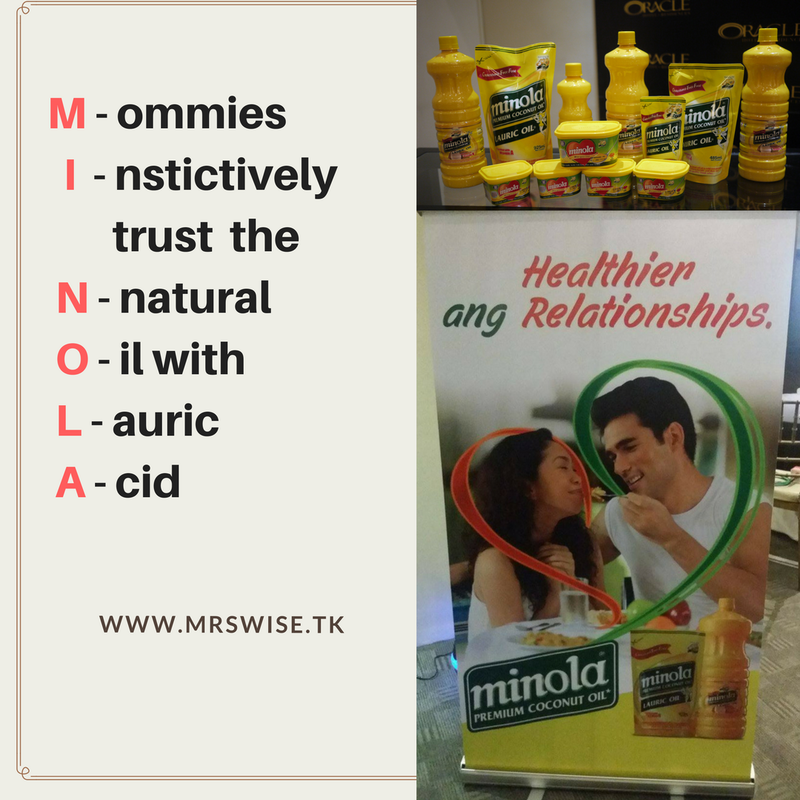 One local brand that my family loves --- MINOLA cooking oil, with Lauric Acid! 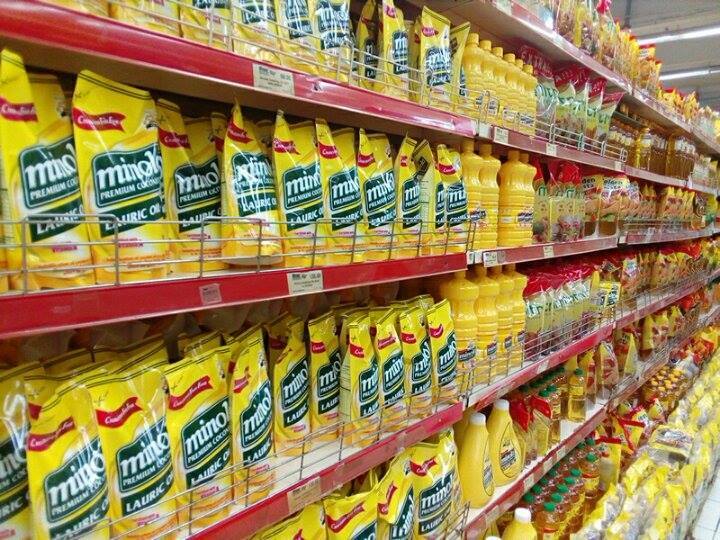 Get social with Minola Premium Cooking Oil to get more information on their wonderful product. COUGH and COLD... SHOO! TUSERAN NIGHT TO THE RESCUE! 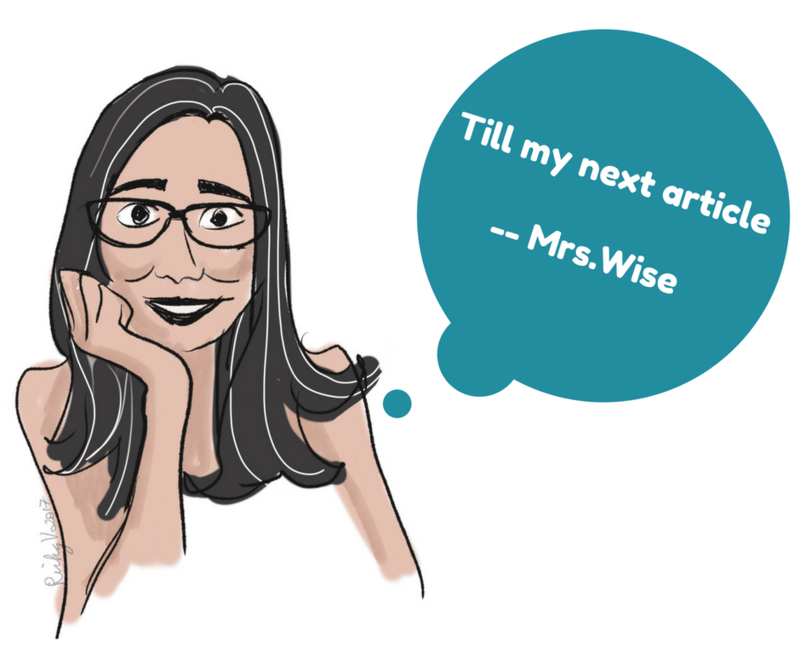 This blog is Mrs.Wise's personal views and opinions. Mrs.Wise is the legal copyright holder of all materials written here, unless it is labelled as PRESS RELEASE. As such, no one can use this blog's content, especially the photos, to reprint or publish it without Mrs.Wise's written content. All information written on this blog is for entertainment purpose only. Mrs.Wise doesn't provide, legal, medical or professional advice. Read at your own risk. This blog accepts forms of cash advertising, sponsorship, paid insertions or other forms of compensation. Mrs.Wise always gives her honest opinions, findings, beliefs of experiences on topics and products. Any product claim, statistic, quote or other representation about a product or service should be verified with the manufacturer, provider or party in question. This blog also publishes random press releases from various companies. Nevertheless, this blog does not contain any content which might present a conflict of interest. This site does contain links to other related Internet Web Sites. Please note that Mrs.Wise is NOT responsible for the availability of these external resources, or their contents and that you should direct any concerns regarding any external links to the site administrator of webmaster of such site.